The US Department of Justice says it will reduce and eventually end its use of private prisons. Recently, we got some big news: The U.S. Department of Justice says it will reduce and eventuallyend its use of private prisons. This would shut down a dozen prisons that house more than 22,000 people convicted of federal crimes. All but one of these prisons house a specific category of inmate: people who are not U.S. citizens. In light of this news, we’re revisiting an hour of Reveal that investigates medical negligence in private prisons for noncitizens, and the shift in immigration enforcement that gave rise to these prisons in the first place. In a new segment, we learn about the roadblocks prison officials encountered when they tried to intervene. 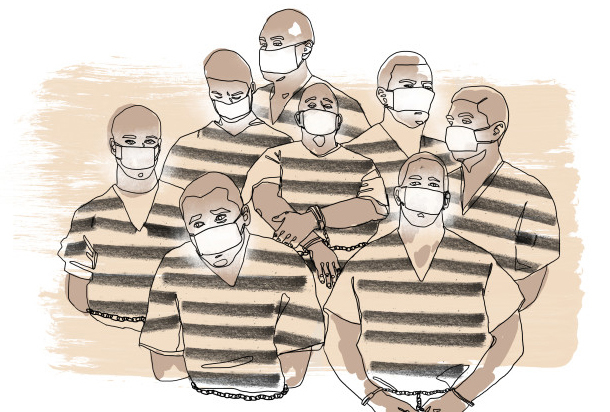 For years, journalists and advocates raised questions about medical care inside private federal prisons for noncitizens, especially in the wake of riots that inmates said were sparked by medical negligence. Investigative Fund reporter Seth Freed Wessler obtained extensive medical files that showed the truth of those prisoners’ complaints. In our original investigation, Reveal’s Stan Alcorn and Wessler tell the story of an emblematic medical disaster. Next, in a new investigation from Wessler, we hear about why the Federal Bureau of Prisons didn’t act sooner to end these medical care problems. He got 20,000 new pages of internal reports that show the bureau knew for years about serious medical failures. We follow Wessler as he talks to former prison officials who were stymied when they tried to do the right thing. Finally, we turn to one reason these prisons were created in the first place. A shift in government policy has drastically increased the criminal enforcement of immigration laws, ;making immigration offenses the most prosecuted category of federal crime. Alcorn explains how these prosecutions work and why they became so prevalent through the story of one man, tracked down by Wessler.